Using this with Akorn Chargrill, already smoked a pork shoulder and a beef brisket. The Maverick is excellent and saves all that walking up and down checking temperatures ... Just great! 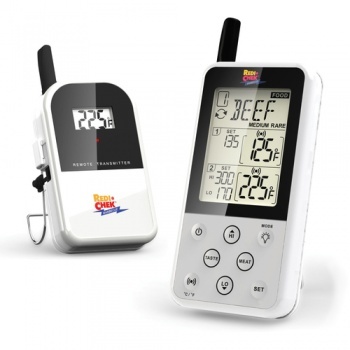 Absolutely ideal thermometer to accompany your BBQ for perfect cooking.........once you have visited youtube to find out how to use it. The included operating instructions are just hopeless.